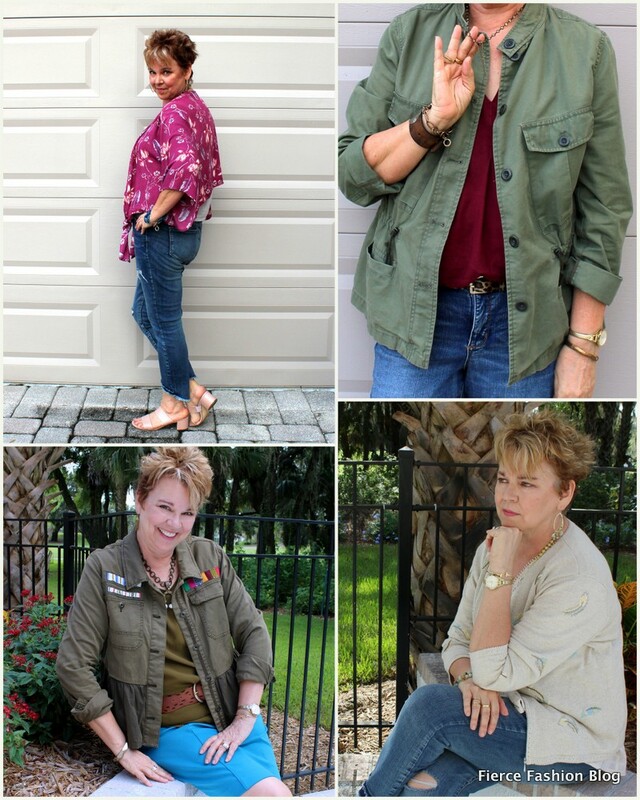 Since it is still January, winter clearances are continuing and spring styles are just barely being rolled out, I thought this would be a good time to review what my style goals are for the year. I've dubbed my style Refined Edgy as seen in my header and it will serve me well through 2019. One goal is to add slightly more Edge to my current wardrobe. While "Edge" may seem a little vague, I'm thinking asymmetrical lines; frayed edges; distressed or worn finishes; interesting fasteners, think zippers or ties; rock 'n' roll tees-haha! Large swaths of beige for the same reason. Overly saturated colors. Maybe because my hair is going lighter and/or my skin is changing as I age, I think they demand too much attention away from me and towards themselves. Buy shoes that aren't wide enough or aren't comfortable in some other way. Ouch! On a more personal-care front, I’m trying to both let my hair go to its natural grey and change up the style a bit, maybe a layered bob or pixie. The only reason is because I'm tired of the maintenance. This may be a failed experiment. So far, on my last color, I didn't get additional highlights but a lighter brown. At my next color appointment, I'll go even lighter. After that, it should be close to being grown out. 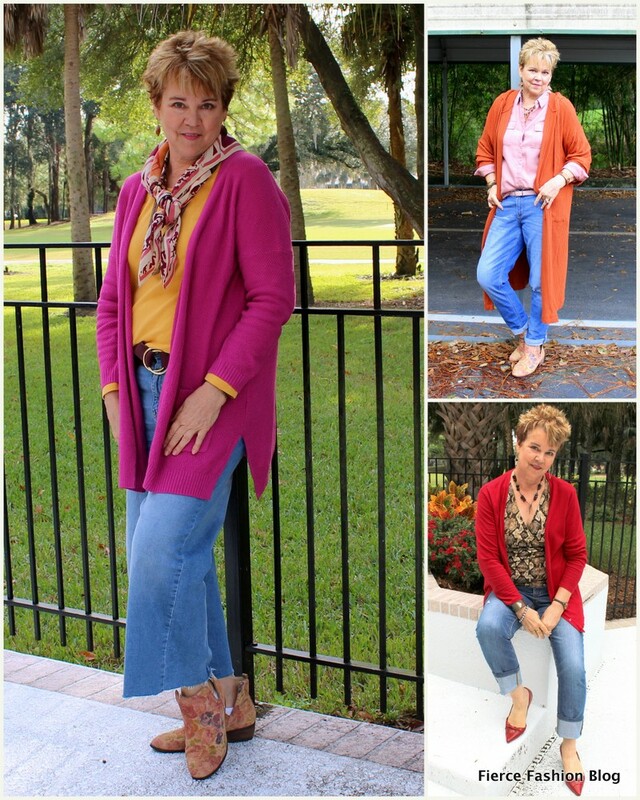 It is generally easier as we age and know ourselves and style preferences better, to do an evaluation of where we are and where we would like to go with our fashion and style choices. Have you done an evaluation lately? What was the result? It's good to know what looks good on you and what don't. I definitely want white trousers this year. Never had them! I'm kind of surprised you've never had white trousers. I'm sure you'll style them fabulously!